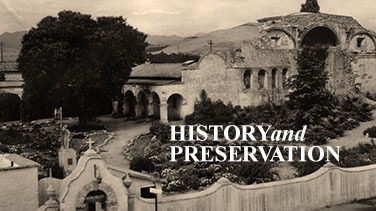 Enhance your Mission San Juan Capistrano Historic Landmark and Museum visit. Our self-guided audio tour features music, history and storytelling about California history and uncovers the “Jewel of the Missions”. 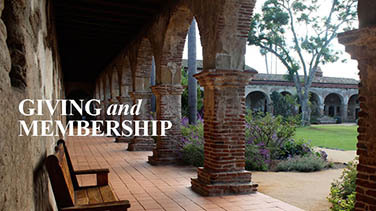 The audio tour grants the listener the unique opportunity to experience history first hand, learn new things about Mission San Juan Capistrano never before heard and see the Jewel up close and personal. This tour is available for free any day, any time, at your own pace. You control what you hear. Dial 1 to begin the tour. Follow the tour in numerical order or create your own sequence. When prompted, enter the number of the stop you wish to hear more about. Each stop is approximately 1 to 2 minutes long and is a unique experience. You may start and stop the tour at any point or enter another number anytime you choose. Looking to create the perfect outing for your club, organization, or large group? Explore the lush gardens and historic architecture and discover art, history, and culture with a docent guided tour. Learn more. 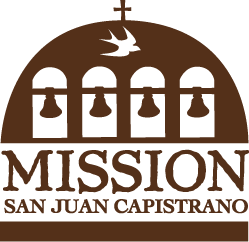 Mission San Juan Capistrano strives to be accessible to everyone. While some parts of our property are limited due to the historic nature of the site, the majority of our museum rooms and gardens are wheelchair accessible. However Audio tour stops can still be accessed on the audio wand. Learn more. Italian Audio Map – Coming Soon!